According to Linda Ikeji, The Chief Security Officer of Ondo State Governor, Olusegun Mimiko, Idowu Oyewole was shot dead by three gunmen at his home at Owo/Akure Express road yesterday October 20th. 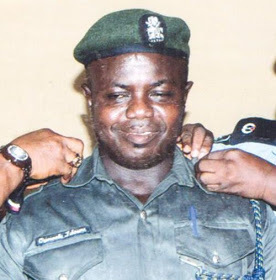 According to reports, Oyewole had retired home after the days work and was having dinner with his Family when the gunmen believed to be armed robbers attacked the home of his neighbor. After he was shot, Oyewole ran from his home to a place where he could hide. He did not return home that night. His body was found on the road the next morning. He died from complications from gunshot injury. The state Police Public Relations Officer, Femi Joseph, who confirmed the incident, said investigations have already begun.